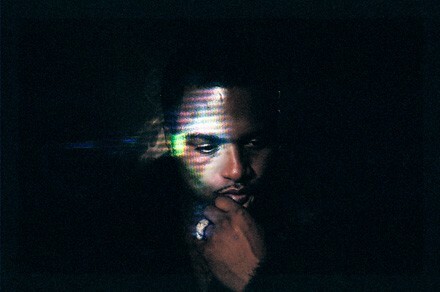 It took me a while to get around to listening to Shabazz Palaces' Lese Majesty, this year's follow-up to 2011's Black Up. I'm not sure why: Black Up was my favorite album of that year, and I've been a fan of MC Ishmael Butler (the group is a duo consisting of Butler and multi-instrumentalist Tendai "Baba" Maraire) since his days in Digable Planets. My guess is it's because the first track to leak off the album, "They Come in Gold," struck me as unexciting and hazy in comparison to the more sharp and energetic material that was on Black Up. But after playing Lese Majesty on repeat over the past week I've come to enjoy the album and even "They Come in Gold," which makes more sense when listened to within the album's arc. A spacier and looser album than Black Up, Lese Majesty retains cohesion by apportioning the separate tracks into "suites" that work well as discrete parts or within the album's sequencing. Lese Majesty is not as immediately satisfying as Black Up, but over time its virtues become more identifiable. I'm not sure if I prefer it to its predecessor, but it makes for another entertaining chapter in the career of one of contemporary hip-hop's (or any other music, for that matter) most idiosyncratic and compelling artists. For today's 12 O'Clock Track I've gone with "Forerunner Foray," which is closer to a single than most of the cuts on the album. Granted, it's not hitting pop radio any time soon, but with its dubby keyboard twinkles, Aquemini-era drum beats, spoken-word samples, and elegiac echoing piano chords, it's possibly the warmest and fleshiest track on an otherwise phantasmal and nonlinear album.